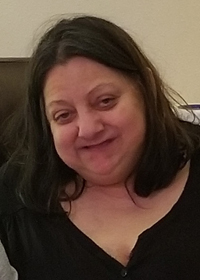 Juanita Kay Baber, 60, was born November 4, 1958 in Des Moines and passed away Saturday, February 2, 2019 at Iowa Methodist Medical Center. Cremation has occurred and private services will be held at a later date. Juanita is survived by her sons, Randall (Sarah) Baber and Christopher Baber; grandsons, Isaiah and Josiah Baber; other loving relatives and many special friends. She was preceded in death by her father, Nicolas Rodriguez.